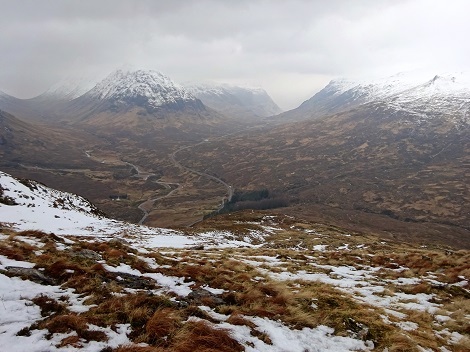 Some words and photos from Mick about a walk he and Clare did in early January. Clare and I walked up from Glenridding to the pony track which zigzags up to the col between Whiteside and Raise. 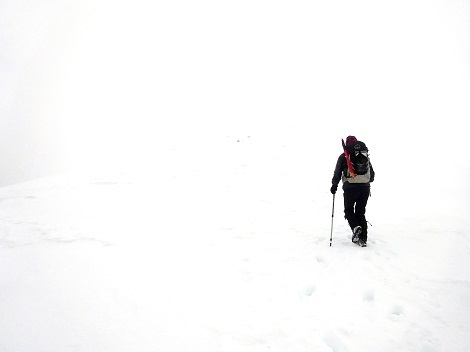 After a very benign ascent we found the wind at the col was ferocious and the ground was polished ice. 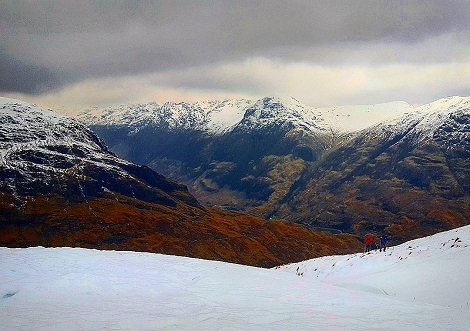 The views, when we could look, were superb. 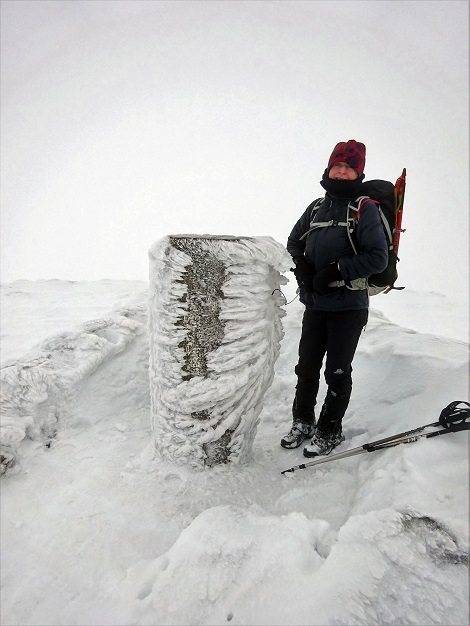 We sheltered, briefly, behind the cairn on Raise but felt too cold to open the lunch box. 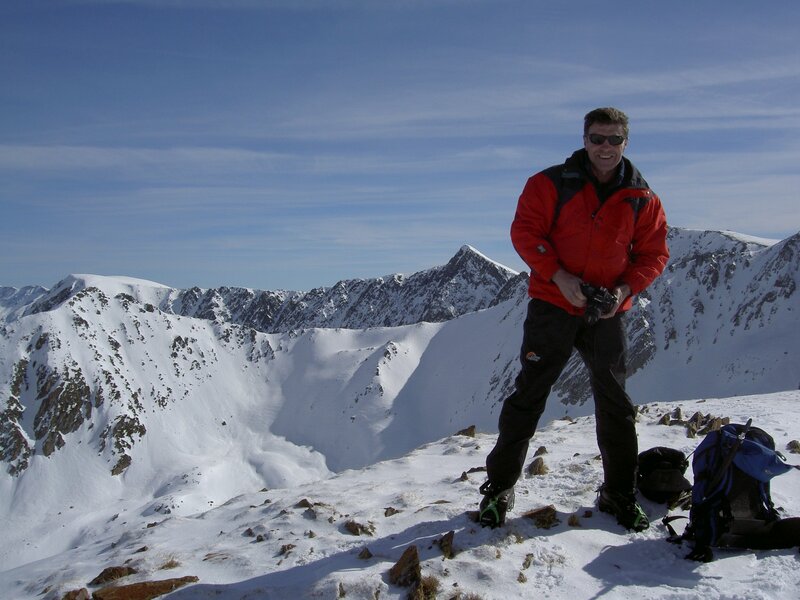 We descended the Stangs ridge, following many ski tracks over soft snow to the old lead-mine chimney just below Stangs summit. It was not until we got down to the Greenside mine workings that we felt comfortable enough to have our picnic lunch - at 3 pm and with shadows lengthening all around us. Still, we both agreed that it had been a fine outing. The best Monday this year in fact. 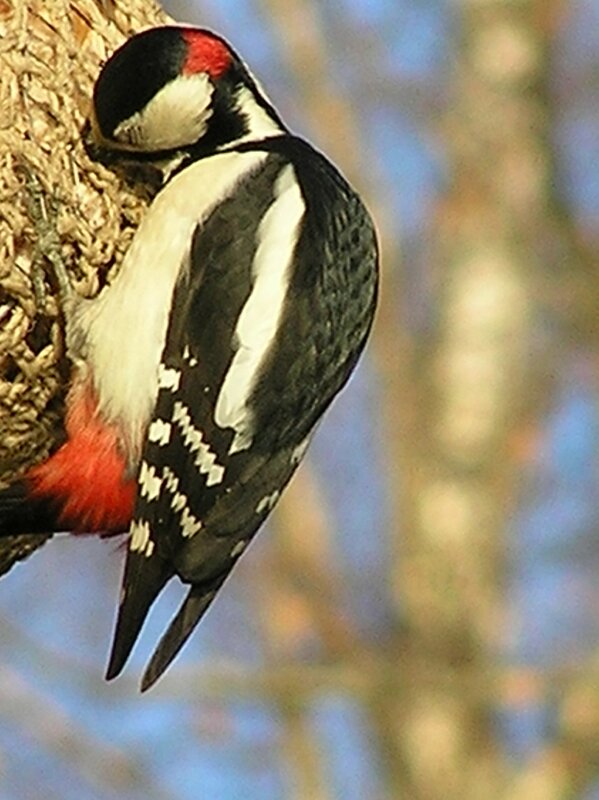 2018 was the 40th anniversary of this annual Meet, and three chalets were booked - Rowan, Birch, and Beech. Mel had flu so was unable to make it. 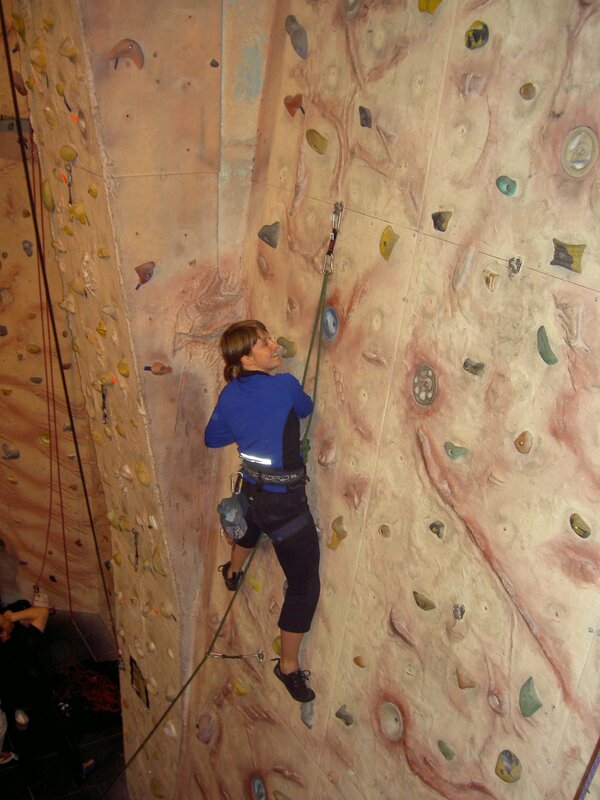 An indifferent forecast for the weekend proved slightly pessimistic, and some tops were achieved. On the way up, Alan, Hugh, and Norman stopped off at the newish Riverside Museum in Glasgow for some interesting transport displays. 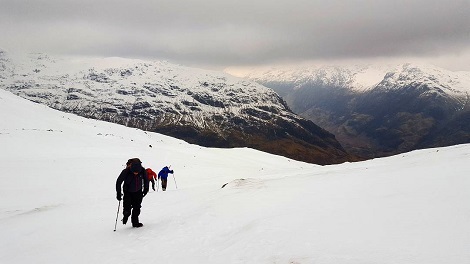 Meanwhile Mick, Jan, and Kevin had a riverside walk near Callendar, and Alvin and Mick had an abortive attempt on Ben Vorlich. 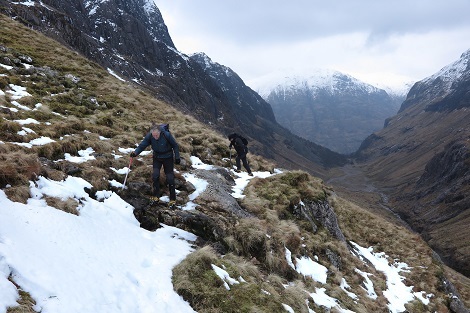 The forecast for Saturday was for strong winds, so Hugh persuaded Mick and Norman into a walk into the Coire Gabhail (Lost Valley) to find some snow to play in, without much success. 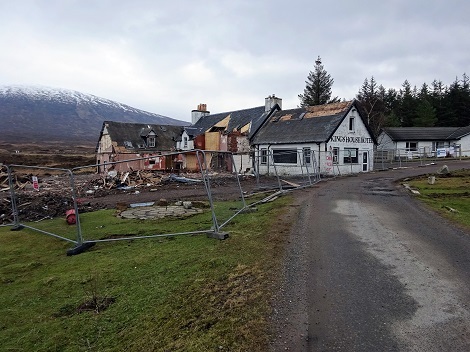 Jan and Kevin opted for Beinn a'Chrulaiste, a Corbett near the Kingshouse (knocked down and being rebuilt) and had a successful if windy outing. 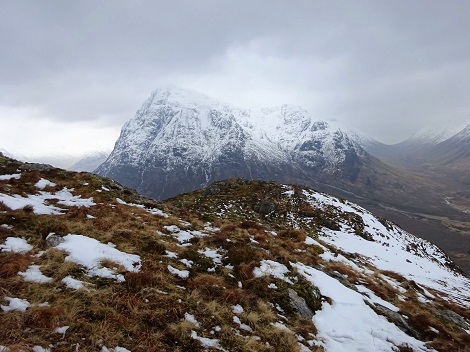 The Bassetlaw group had a successful walk up the munro Buachaille Etive Beag, with Adam ticking off both tops. The music in the pub that evening was better and quieter than usual, and a great night was had. Its good news that this Meet, once in danger off stopping due to a lack of numbers, has taken off again, and the same three chalets have been booked again for next year. Alan and Norman admiring the reflection of a tall ship on the Clyde in the windows of the Riverside Museum. Is this Jan in a white-out? 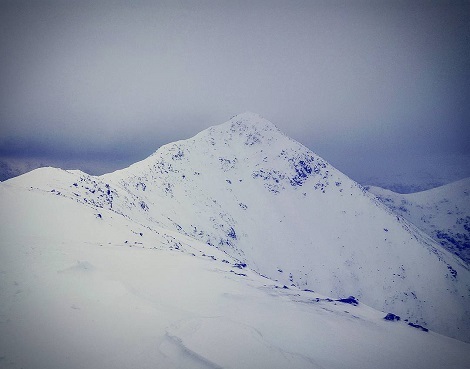 The ridge leading to Stob Dubh. 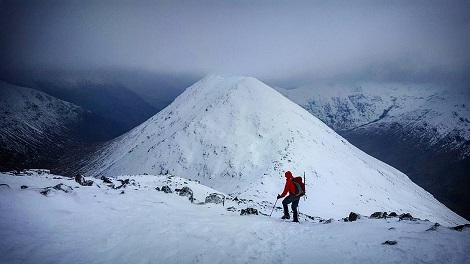 Spot the five climbers near the summit. 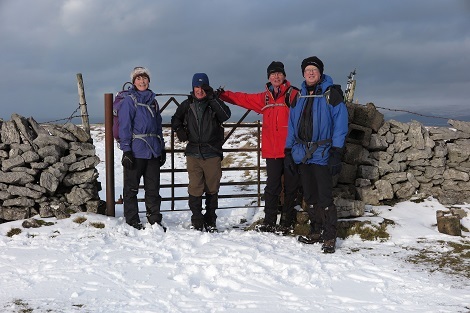 The forecast of heavy snow put at least 4 members off this walk, but 8 others braved the weather and met up at the chocolate factory cafe in Orton. The plan was to walk to Crosby Ravensworth via Robin Hoods Grave, returning via Bank Moor and Gamelands Stone Circle. 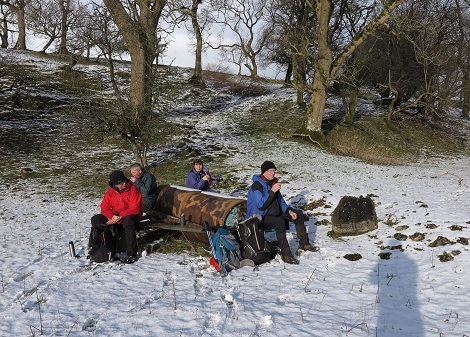 In the event, Hugh, Angie, and Les were concerned about the return journey in the snow and so turned back after Robin Hoods Grave. Norman says about the walk - The route was from Orton north to Crosby Ravensworth via what appears to be an old track. Over the ridge, west of Orton Scar, a long gradual descent begins and first encounters a well-established cairn known a 'Robin Hood's Grave, itself to the WNW of Howe Robin. Along Hollins Scar, where Ray and Mike freed a sheep with it's horn caught in the hay feeder, there are views across to source of the river Lyvennet which is at King's Well ( a spring ). After passing Crosby Lodge we descended to a ford on that river where there are two footbridges to cross taking us onto the other side of the river temporarily where we broke for tea, sitting on an old field roller. After that the route follows the river to Crosby Ravensworth, crossing Gilts Lane on the way. 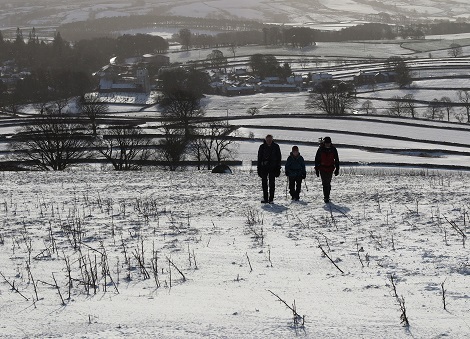 As the pub 'the Butchers' was closed until the evening, we turned for the return journey immediately, and had lunch on the side of the short road to Bank Head Farm, with fine views of the snowy countryside and the village. A Kestrel hunted in the strong breeze right in front of us. Then, the road becomes a byway and heads SE up to Bank Moor where after a short spell on the road we followed the track south over Graythorne Plain, steadily climbing to Orton Scar, east of the monument. There were good views across to the snowy Pennines one way, and to the Howgills the other. 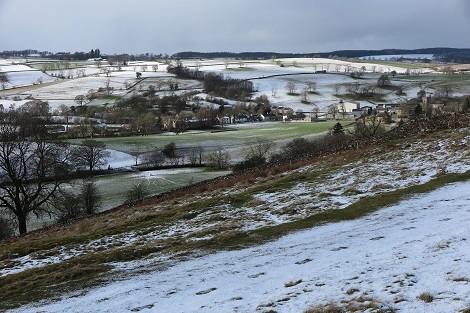 From there, downhill to 'Street Lane' and back to Orton, omitting a visit to Greendales stone circle as the snow would have rendered the fallen stones less than dramatic. 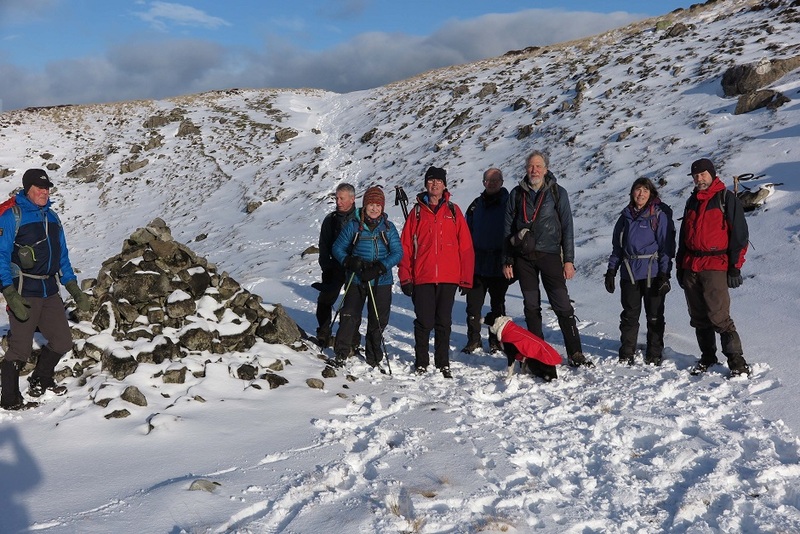 Ruth, Clare and Mick walked over from Rosthwaite to Watendlath and returned over the summit of Brund Fell (Grange Fell), whilst Margaret, Roger, Fred, Jean and Val stayed below the snowline, walking the valley bottom from High House into Johnny Wood and back. The day was finished with a very good meal in the busy bar at the Scafell Hotel. 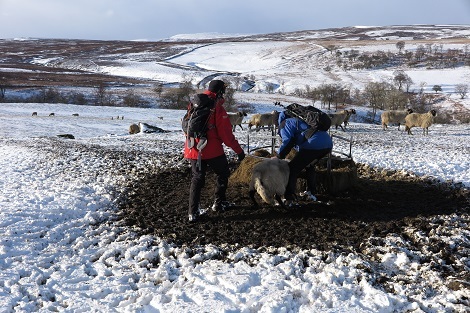 All returned home on Saturday evening due to a forecast of heavy snow during Saturday night and Sunday. From left to right: Margaret, Roger (why does Roger always hide?) Val, Jean, Ruth, Clare, Fred, and Mick. Netherfield Cricket Club on Parkside Road was a new venue for the club, and members present enjoyed the facilities offered. Mick announced that the club's lease with the NT for High House was now in the process of being signed after a long protracted negotiation process lasting three years. A new High House Policy reflecting both the exclusive use of the members room by visiting groups, and the option of implementing a night rate for members staying at High House, was passed. A minor amendment to the Constitution was also made to reflect the need for potential committee members to be proposed before the AGM and not during it. Two retiring committee members were thanked for their long services with a bunch of flowers each. Our President Roger Atkinson is seen below left with Val Calder, retiring Treasurer, and below right with Mick Fox on behalf of Clare Fox retiring Social Secretary.